Experience the history and career of a football player from the pitch to large international cups and the world . Impresses the agents, and coaches scaling the heights of success : playing in the best clubs , villas and bought supercars like a real football player ! 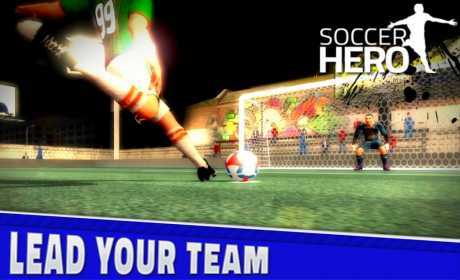 Train and improve your skills to become the top scorer in the league ! But careful not to be too selfish , you’ll ruin your relationship with your companions. 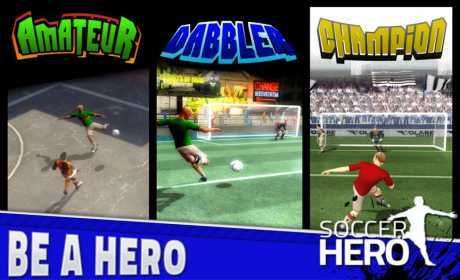 Graphics Console, additive gameplay , impressive longevity , Soccer Hero is the game of football that was missing! Frequent updates . This app allows you to make in-app purchases. Control the ball with great precision aiming and hitting the ball with your fingers. No one swipe inaccurate ! Finally, you can check out the cast and shooting accurately , more if you’re good enough .